We all need a little TLC from time to time. The late nights, the early starts, and all the working and worrying in between. It all takes its toll – especially on your skin. 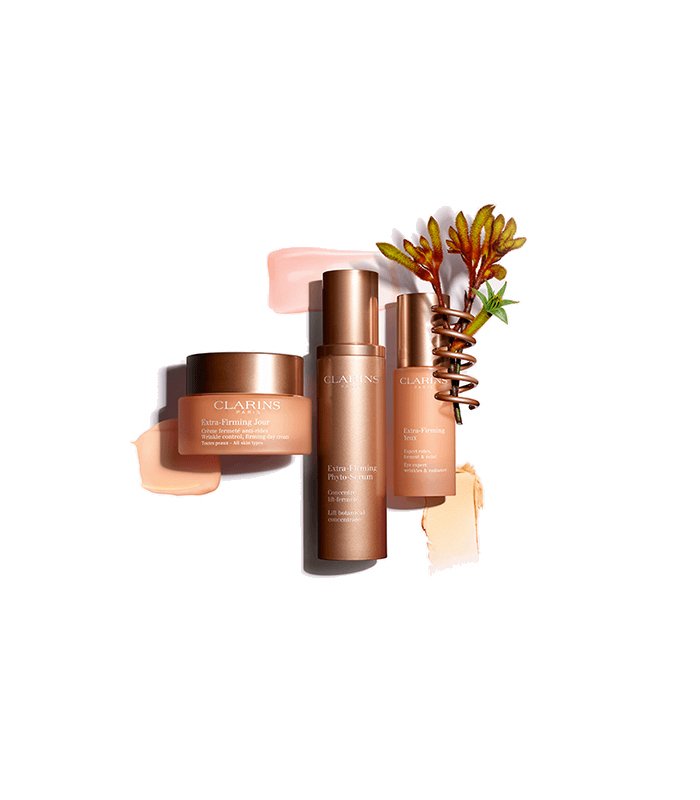 The Extra-Firming range from Clarins can help you protect your skin whilst looking radiant and smoothing lines for a visibly younger-looking complexion. Because we know how important it is to have some ‘me time’, together with Clarins we’re offering you the chance to win a spa weekend for two at a Champneys Health Spa of your choice. Simply answer the question below for your chance to win the ultimate pamper package, plus a Clarins products bundle. Extra-Firming Phyto-Serum, with its smooth ultra-sensorial gel texture, helps skin to appear firm, smooth and youthful—with results that improve when used daily. Use with Extra-Firming Eye for the ultimate power lift duo.